A common kitchen, open 24 hours a day, is located on the main floor of the residence. 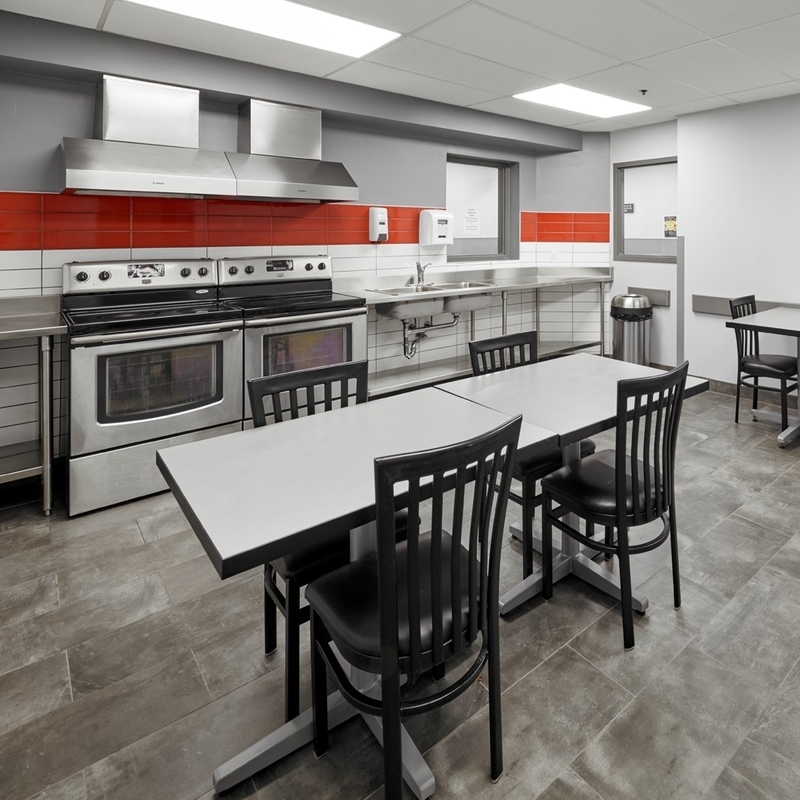 This kitchen features full size stoves and allows all residents to cook at their own freedom. The front desk is staffed 24 hours a day to ensure all residents’ needs and requests are met. The front desk offers many services including guest sign-ins, mail services, residence account information, payment information, and faxing & photocopying services. 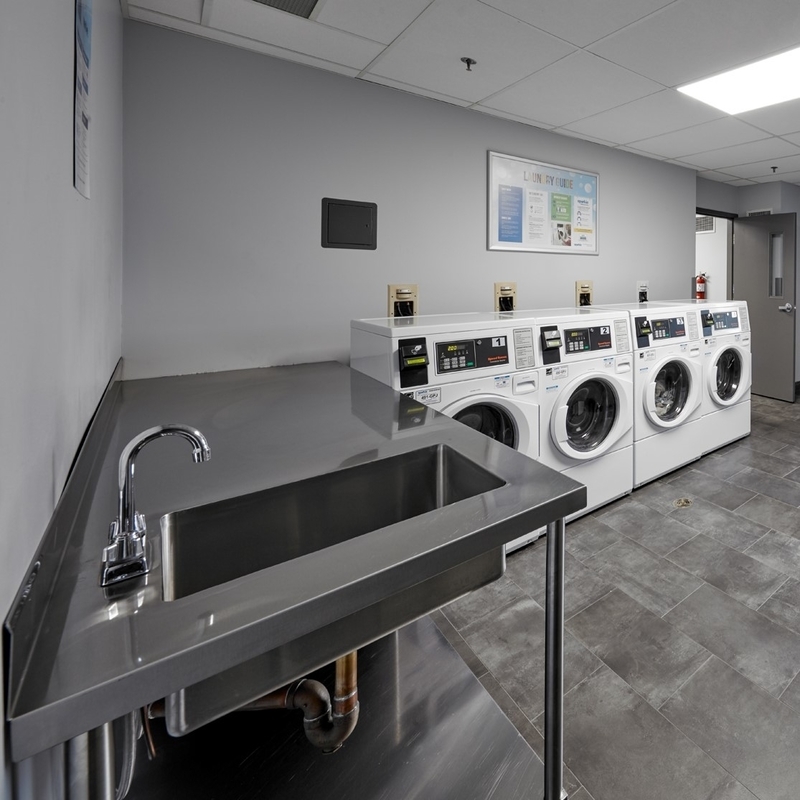 Laundry Facilities are available in the residence and are open 7 days a week, 24hrs a day. All washers and dryers are on a prepaid card system. A common lounge is located on each floor for residents to gather. 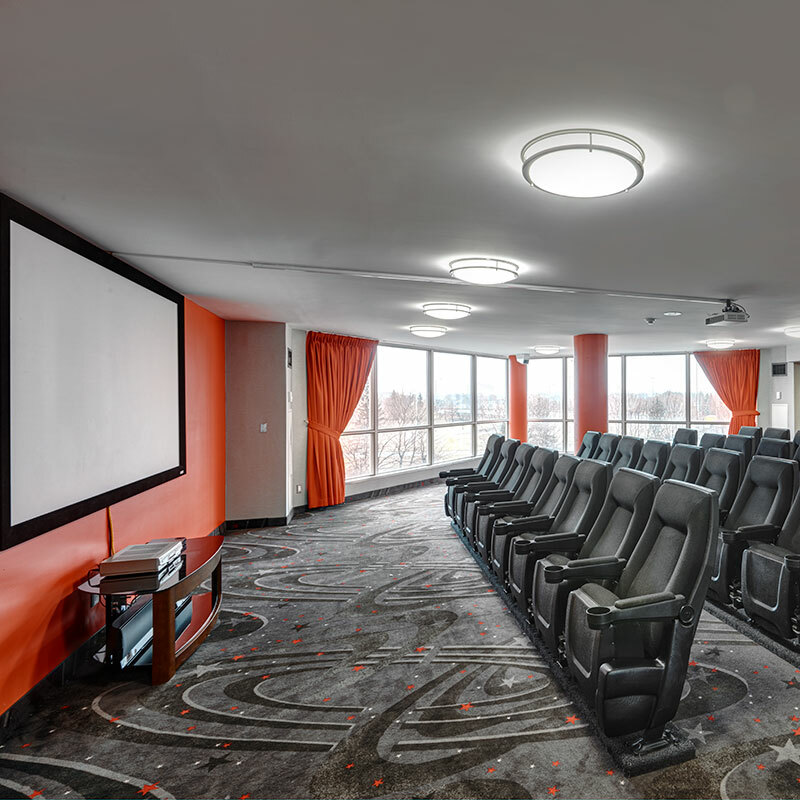 These lounges differ in their amenities with everything from pool and ping pong tables to large TV’s. There are also a number of lounges dedicated to studying. These lounges are outfitted with tables and chairs making them perfect for group or individual studying. Residents have the ability to submit maintenance requests by logging onto My Housing Portal (please click here to log into the King City Housing Portal or click here for the Newnham Housing Portal). 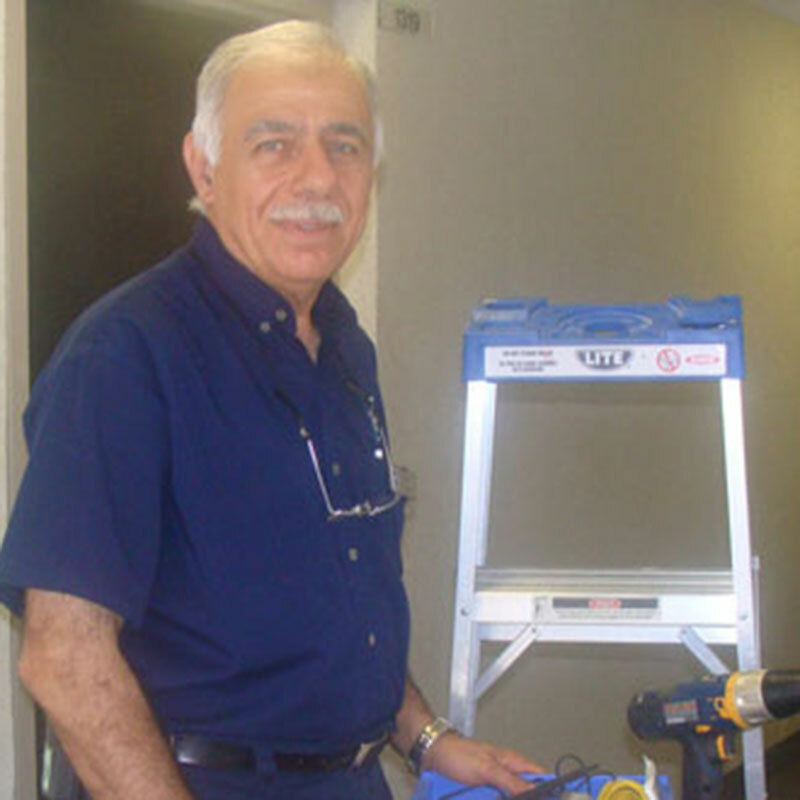 Maintenance workers will enter each student’s suite and complete all deficiencies listed on the maintenance request. 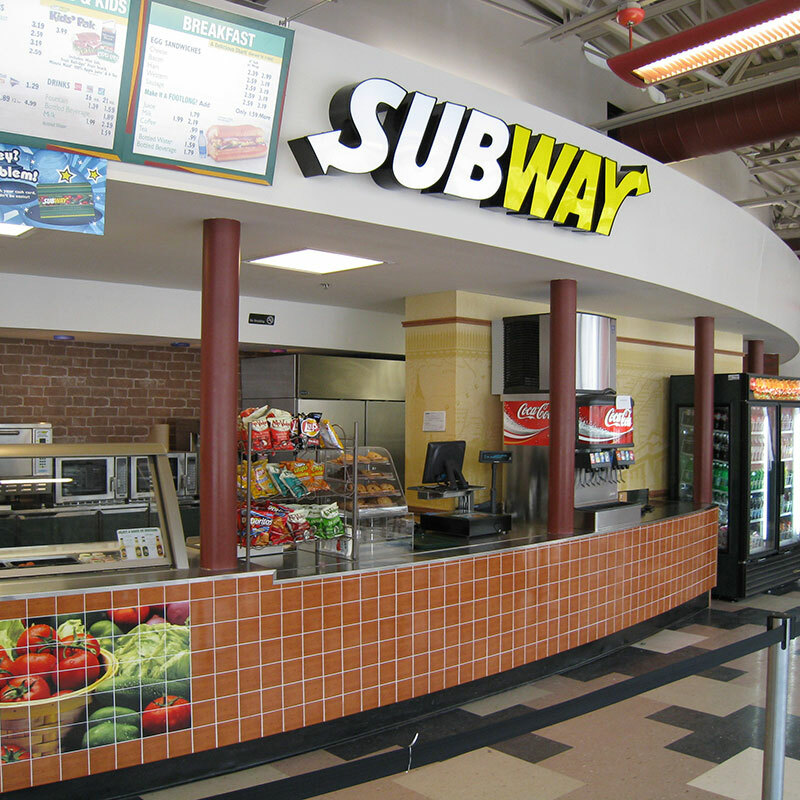 Subway Restaurant, located on the first floor of Newnham Residence, offers daily specials to help students enjoy an affordable and healthy meal option. 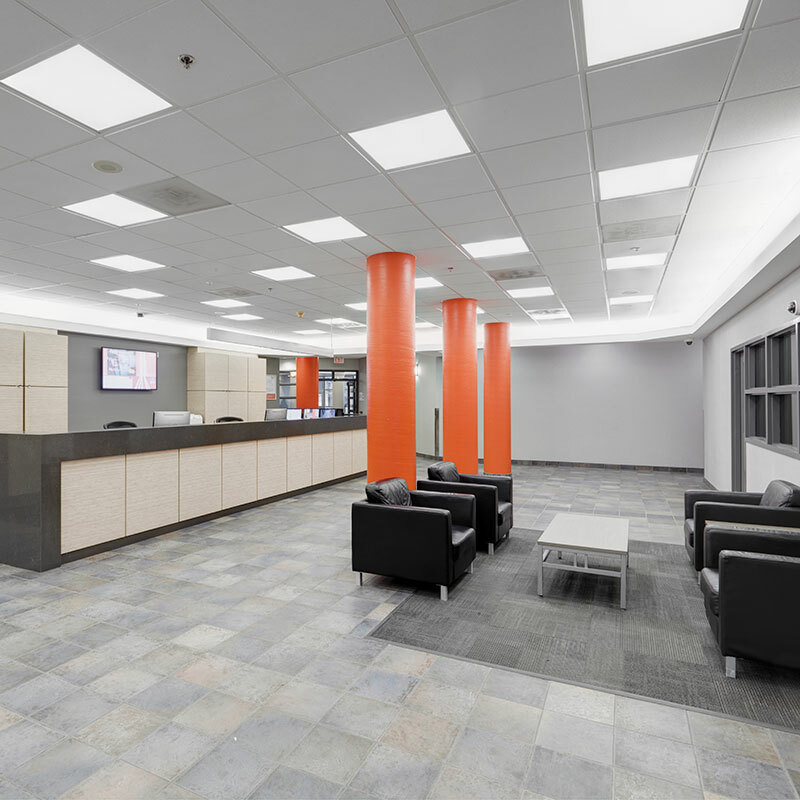 Campus Convenience is located on the main floor just steps away from the Front Desk. 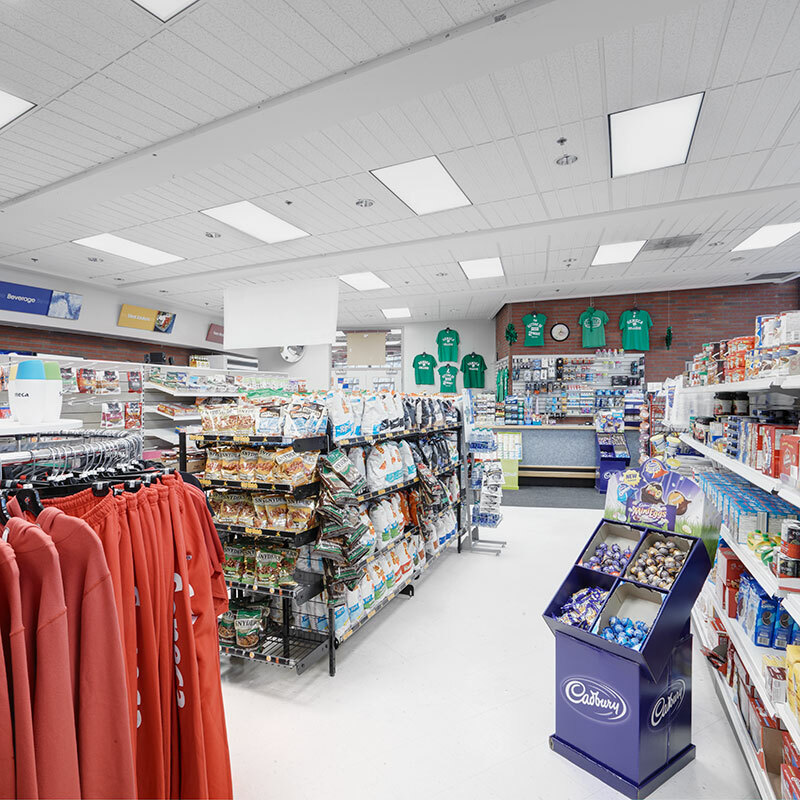 The store offers a wide variety of products including dairy, grocery, and hygienic items. Campus Convenience also offers long distance phone cards, stationary items, and healthy meal options. 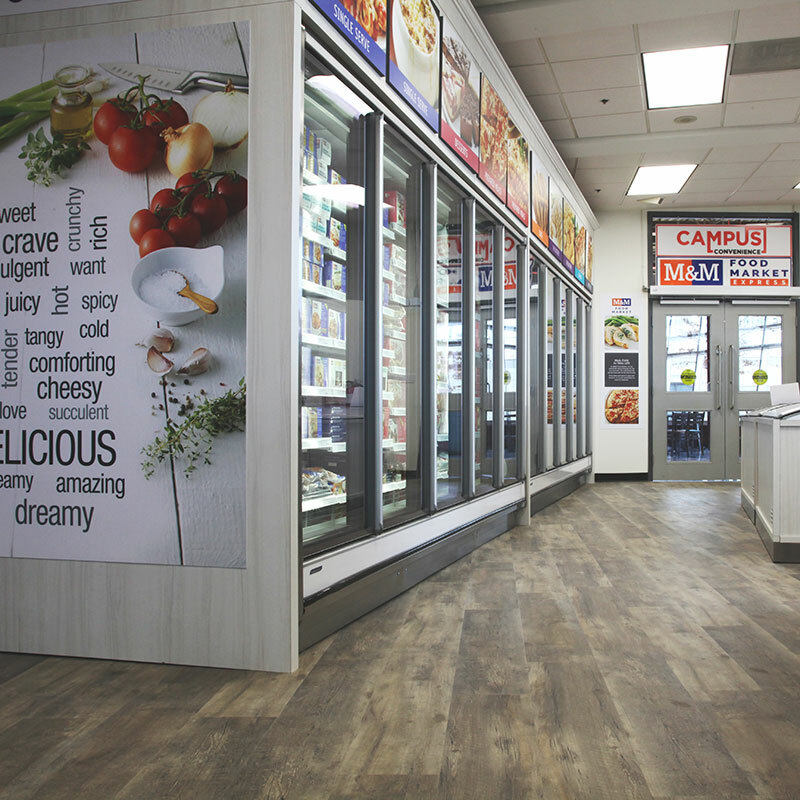 Located in Campus Convenience, M&M Food Market Express offers a wide variety of healthy frozen food items in both single and full serving sizes.